Point mutations and genomic multiplications in the α-synuclein (αSYN) gene cause autosomal-dominant Parkinson’s disease. Moreover, αSYN fibrils are the major component of Lewy bodies, the neuropathological hallmarks of Parkinson’s disease and dementia with Lewy bodies as well as of glial cytoplasmic inclusions in multiple system atrophy. These diseases are collectively referred to as α-synucleinopathies. Cellular mechanisms regulating αSYN fibril formation and toxicity are intensely studied in vitro, and in cell culture and diverse animal models. Specific neuropathology was achieved in transgenic mouse models using several promoters to express human wild-type and mutant αSYN in brain regions affected by the various α-synucleinopathies. Somatodendritic accumulation of the transgenic αSYN with neuritic distortions was a common finding. The nigrostriatal dopaminergic projections were surprisingly resistant to α-synucleinopathy in transgenic mice, although they tended to be more vulnerable to neurotoxins. In a few mouse models, αSYN aggregated in an age-dependent manner into genuine fibrillar amyloid. Brain region selective αSYN neuropathology correlated with specific behavioral impairments, such as locomotor dysfunction and cognitive decline. Thus, the αSYN fibrillization process is tightly linked to neuropathology. 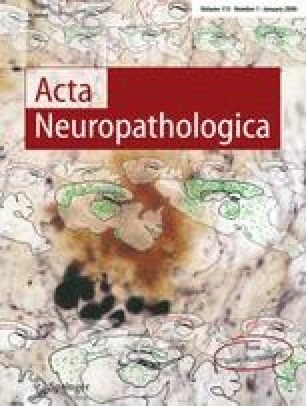 The role and thus therapeutic potential of post-translational modifications (ubiquitinylation, oxidation, phosphorylation, truncation) and modifier genes on αSYN neuropathology can now be assessed in valid transgenic mouse models of α-synucleinopathies. Own work cited here was supported by the Deutsche Forschungsgemeinschaft (grants HA 1737/4 and SFB A1) and the German National Genome Research Network (NGFN). Immunostainings were kindly provided by Manuela Neumann. I thank Wolfdieter Springer, Susanne Schöbel and Silke Nuber for their comments and suggestions.